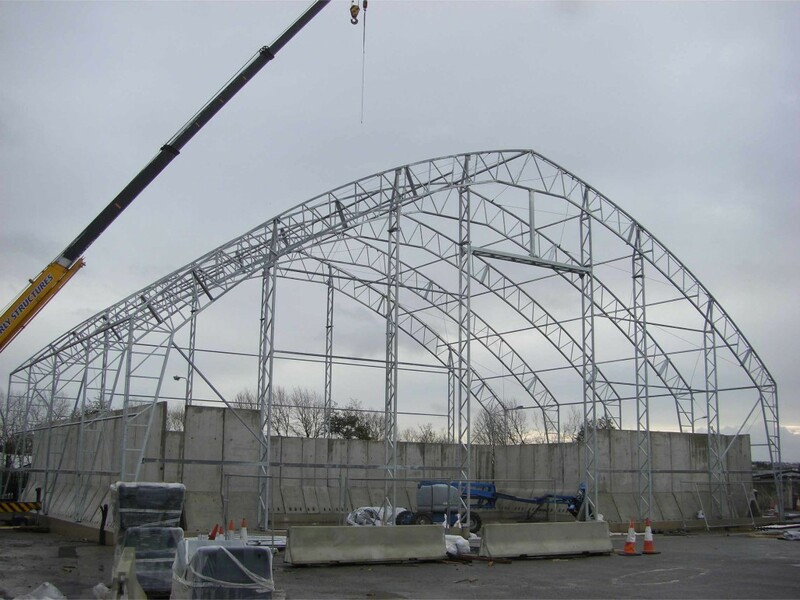 Bay Associates worked in partnership with De Boer Structures (UK) Ltd, as the structural engineers for this 30m x 20m salt barn. 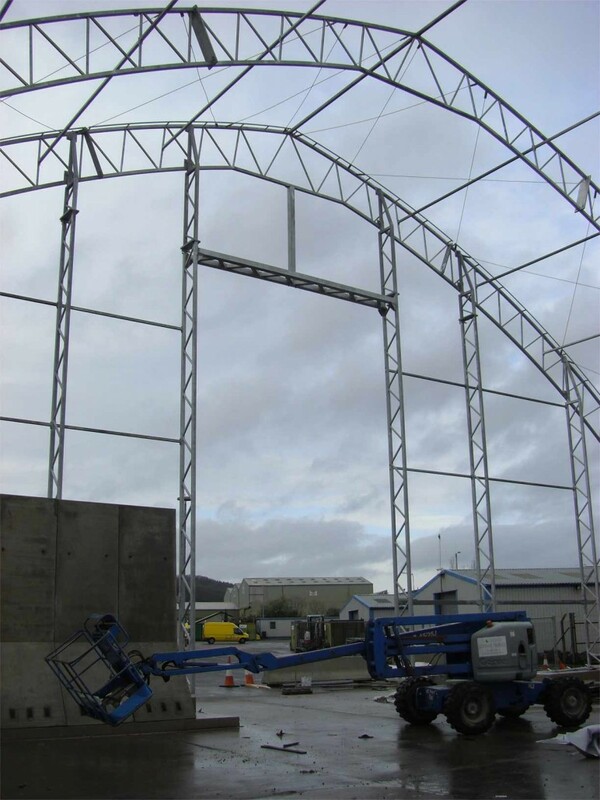 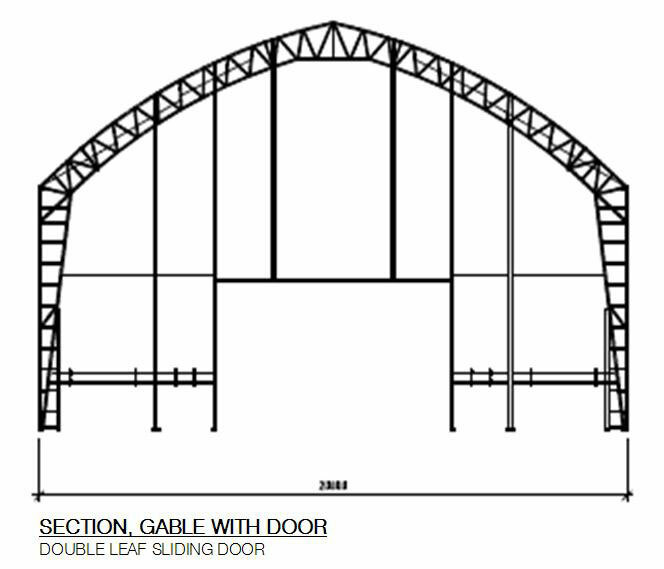 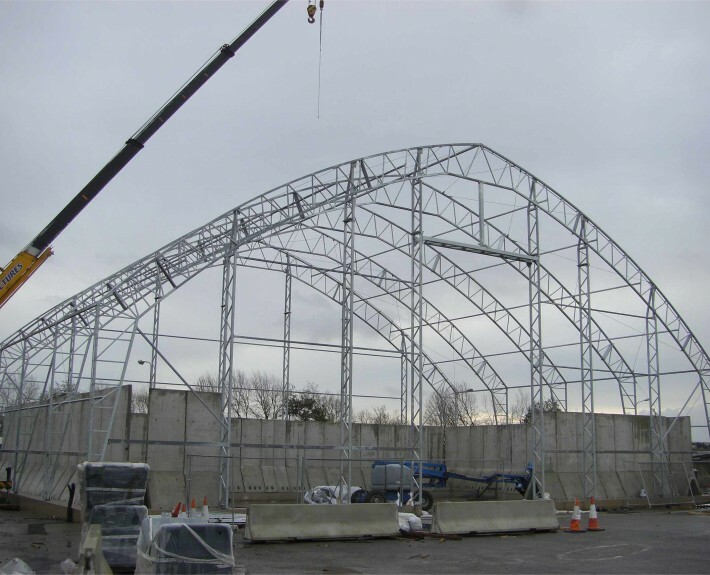 The structure is a steel truss frame with a lightweight tensioned PVC membrane roof and wall covering. 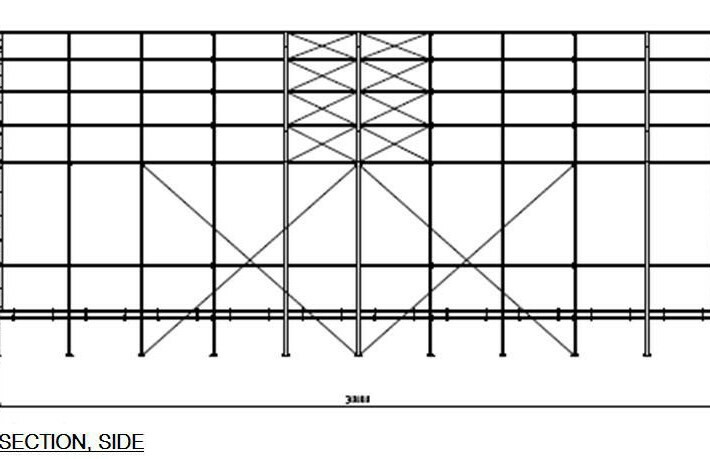 Four metre high pre-cast concrete panels are fixed to the steel frame and provide the push wall for the salt storage. 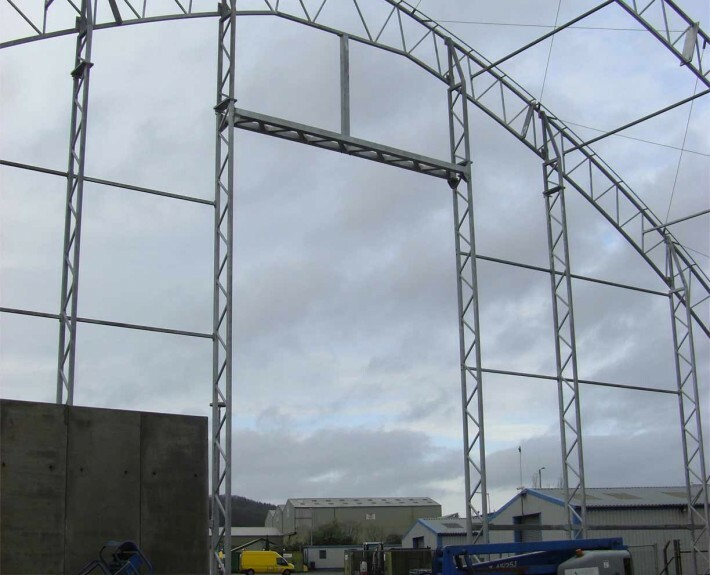 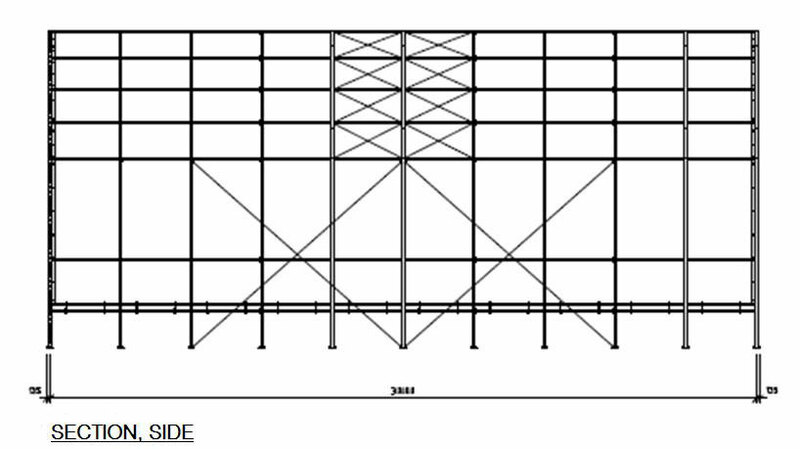 The structure has been designed to site specific conditions with regards to wind to leading to enable the most cost effective design solution to be reached. 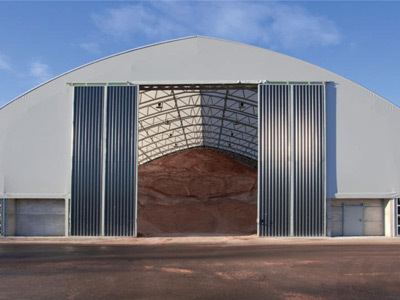 This same design philosophy has been successfully deployed in similar salt storage structures in Milton Keynes, Ebbw Vale, Trafford, Wigan, Cardiff, Derby, East Lothian and Sweden.